Revellers in the UK are spending nearly £69 on an average night out, according to the most recent Deltic Night Index. 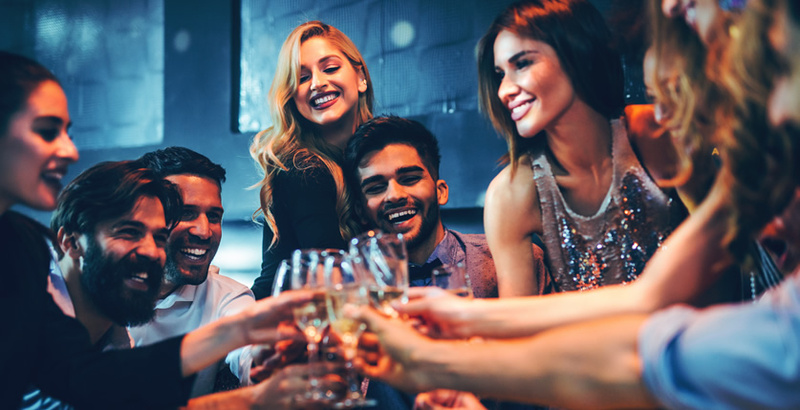 The quarterly report, which records consumer habits in the country’s nightlife economy, found that people were going out for longer, more often and spending more on a night out. The average cost of a night out from January to March was £68.68, a 15.5% increase on the £59.49 consumers were spending a year ago. The rise in spending has been driven by an increase in not only money spent on drinks, but also on food and transport. While money spent on drinks in clubs and bars was up 10.3% to £19.25 in a single night out, people were also spending an average of £16.20 on food, an increase of 10.3%. But the biggest surge was in transport costs, up 32.1% to £12.02 on an average night out. People in the UK were also found to be going out more frequently, with 58.1% of those asked saying they went out at least once a week. The average night out in the country now lasts 4 hours and 35 minutes, but there are many people spending more time than this out partying. While 39.4% of people spent between 3-4 hours on a night out, 37.2% spent between 5-6 hours. The latest figures from the Office for National Statistics showed that there has been a 20% decrease in the number of pubs, bars and clubs holding a 24-hour alcohol licence since 2013. Last year, there were 742 establishments with such licences, down from 919 five years previously. The research from Deltic also revealed that people are happier with their towns’ nightlife options than they were previously. According to the report, 69.1% of British people said they were proud of their town or city. This rate increased among 18 to 25-year olds, with 73.1% claiming pride. In terms of going out, 50.7% of those asked thought their local town or city had good or amazing nightlife. However, 40.6% of respondents said they believed that things could be improved. 34.6% said they thought transport links should be better, 30.2% wanted an improvement in leisure venues, while 22.1% felt there could be more and better-quality places to eat out. Peter Marks, the chief executive of Deltic, said: “Given the ongoing pressures facing the UK’s retail and leisure industries, it is fantastic – and perhaps surprising – to see that so many Brits feel this positively about their local towns and cities, and the leisure offerings within them.